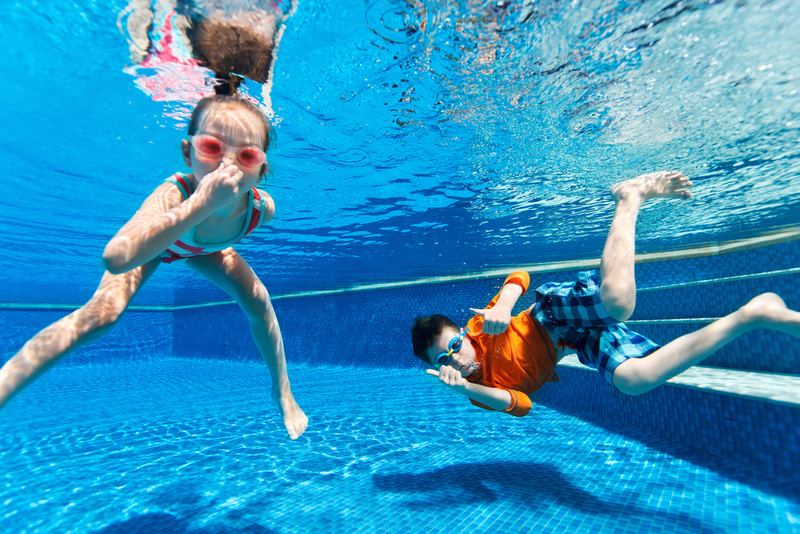 Can Pool Water Harm Your Teeth? Home / News / Tips and Advice / Can Pool Water Harm Your Teeth? Swimming is a wonderful summer activity. It gives the whole family a chance to spend time together in the great outdoors, having fun while getting some exercise, too! Now that summer is winding down, many of us will be giving the swimming pool a final farewell with a long, fun-filled day in the water. We’re lucky that pools are chlorinated. If they weren’t, swimming pools would be pretty gross! Chlorine helps keep our family safe from the germs that can make us sick. However, chlorine isn’t harmless, particularly to our teeth. Chorine works by making the water acidic, which kills germs. However, exposure to acidic substances can also be harmful to your pearly whites. Acids tend to reduce our saliva production, and believe it or not, saliva is essential to your oral health! By rinsing off your teeth and neutralizing acids, saliva protects your enamel and prevents germs from hanging around. Decay and Gum Disease: When your saliva production is reduced, germs have greater opportunity to multiply, since they aren’t being rinsed away efficiently. Tooth Sensitivity: The acid in the pool water can weaken the nerves in your gums, resulting in sensitivity to hot and cold foods. Since saliva helps to neutralize acids, it’s one of the factors helping prevent this. Does This Mean I Should Stop Swimming? Bring a toothbrush with you to the pool, and give your pearly whites a nice brush as soon as you finish your swim. Stay hydrated, which you should be doing anyway, especially when exerting yourself in the summer sun. The more water you drink, the better your salivary glands will function. When you’re underwater, keep your mouth shut! Also, make sure your children know not to drink pool water. We hope you enjoy these last few weeks of summer with your family!